Yung Pancit Malabon na masarap at hindi tinipid sa sahog? Dito ko lang natikman yan sa Romy & Maritas Pancit Malabon House (formerly Lita's Pancit Malabon) sa Brgy. 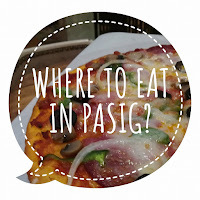 Malinao, Pasig! I was invited by the owner of this family-owned pancit house along Caruncho Ave. in Pasig to try their special pancit Malabon and other food. I was surprised to see the serving of their Pancit Malabon and with its price P35. They also served and accept orders of bilao - good for family and barkada. Caruncho Ave. is passed by the common means of transportation in Pasig like jeepneys, tricycles and UV Express. You can ride any of them en route to Pasig Palengke. 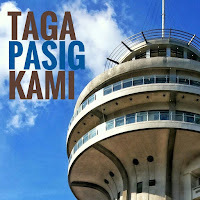 If you are coming from Taguig, go to Bicutan and ride a jeepney trip heading to Pasig Palengke. Drop off Caruncho Ave before you reach Pasig City hall. Romy & Maritas Pancit Malabon House is just next to La Immaculada Concepcion School (LICS). There are jeepneys and UV express en route to Pasig Palengke from EDSA-Shaw, SM Megamall, Robinsons Galleria and even from Quiapo. Drop off Caruncho Ave before you reach Pasig City hall. Romy & Maritas Pancit Malabon House is just next to La Immaculada Concepcion School (LICS). Catch a jeepney ride heading to Pasig Palengke. Same with those vehicle coming from Ortigas East or Cainta. Drop off Caruncho Ave before you reach Pasig City hall. Romy & Maritas Pancit Malabon House is just next to La Immaculada Concepcion School (LICS). 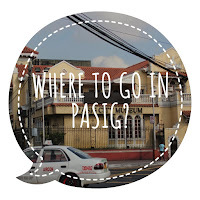 Pasig is a city in the Philippines. 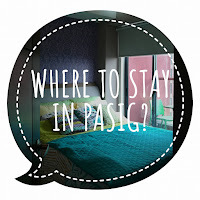 Located along the eastern border of Metro Manila, Pasig is bordered on the west by Quezon City and Mandaluyong; to the north by Marikina; to the south by Makati, Pateros, and Taguig; and to the east by Antipolo, the municipality of Cainta and Taytay in the province of Rizal.